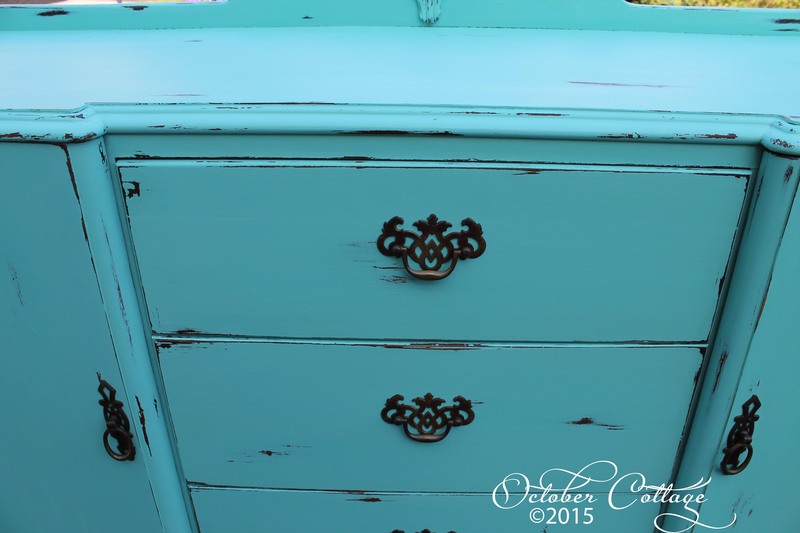 A dear friend of ours had this sideboard, and wanted it to be redone in Tiffany Blue! Susan created a new custom color that was just what our friend wanted. 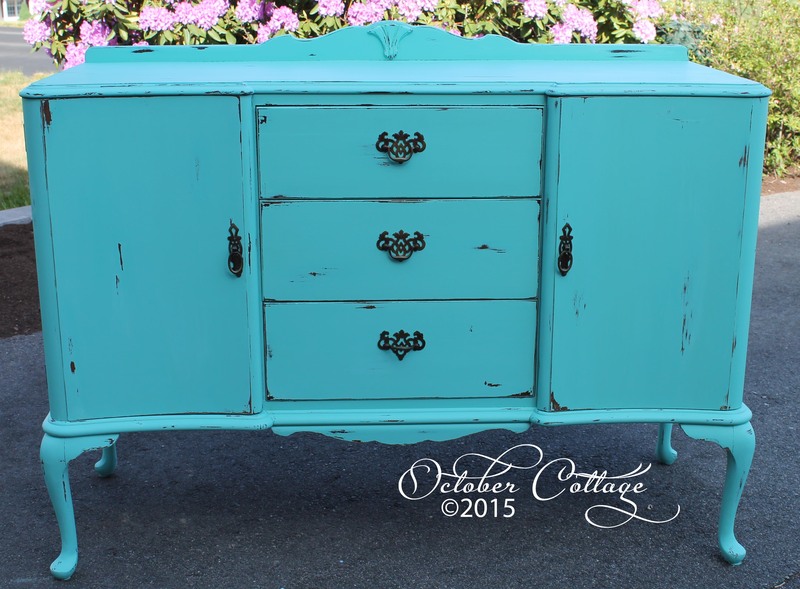 The sideboard has been completely transformed and now provides great storage as well as brightening the space!